Your landing page is key to a profitable marketing campaign. Many newbie marketers spend little to no time crafting or testing their landing page layout and copy. Don't be that person. Below you will find a handful of solid tips to make your landing page convert! Tip #1 - Presell, presell, presell. 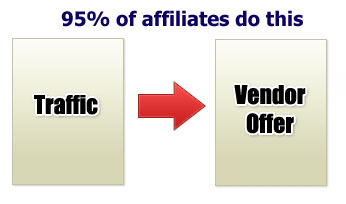 Fact: affiliates that presell the product convert better than those you direct link. The data is proof. I'm telling you to create a presell page to send traffic to. It works trust me. A solid review that goes over the product in detail, what it offers, what to expect, how you can benefit etc... will turn the potential customer into an eager buyer before they even land on the homepage. People are skeptical and hesitant to buy on the internet. Your job as an affiliate is to calm their fears, erase their doubts, and give them a nice link to click on. 5 things you can begin to test from day 1 on the landing page are: the headline, benefits, call to action, copy and color scheme. This one gets most people. Your ad should match your landing page. The best way to cover this is to have your ad title in some way repeat in the headline of your landing page. This assures the visitor that the ad they clicked on and the landing page they've arrived at are on the same page. 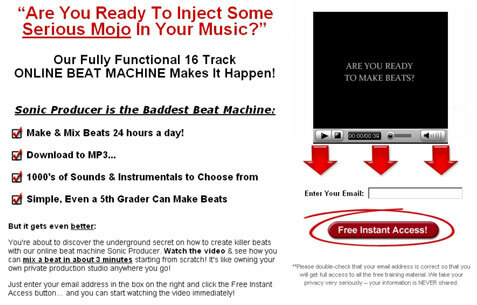 If your ad talks about 'hip hop beats' and your landing page focuses on rappers and loops, there is a disconnect. Below are 2 sample templates you can use for your marketing efforts. In the first template; the layout and outline are there you just need to fill in the copy, presell, and change the affiliate links. And put your image and name to give it some credibility and make it personal. That's it. Be sure to test the headlines, benefits, copy, color, etc... 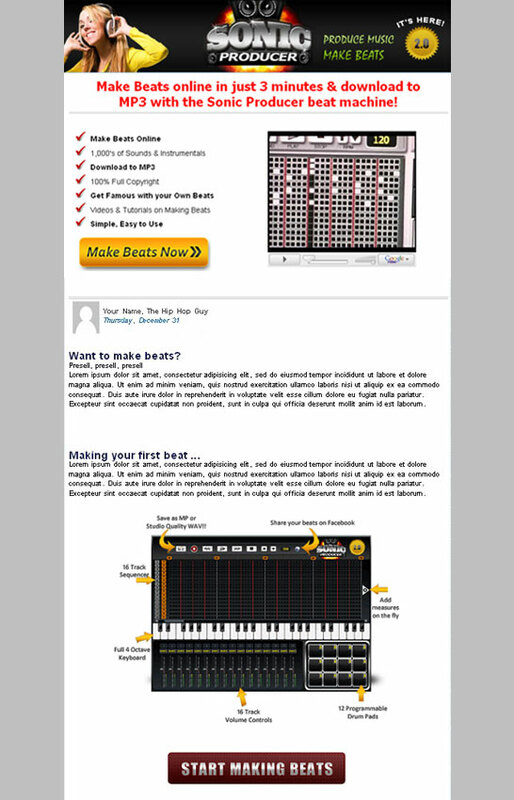 I also embedded the video on the homepage which gives a solid overview of the beat machine. I've also added a video squeeze page template. This is for you to collect emails through an opt-in. I highly recommend you use Aweber for you email marketing. I've used them for years. You will need to input your own email form on the squeeze page as currently it is setup for nothing. After you collect their email it is recommended to use at least 8 follow-ups to get a sale. 8 is the magic number. After they enter the email you can redirect to sonic producer with your clickbnk ID, or you can direct them to another page of yours to presell ... your choice.